As a fee-only financial advisor, I am a firm believer in the fiduciary standard. 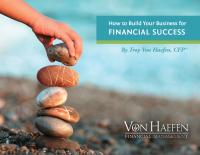 It’s something that is tighten woven into my fiber and is a cornerstone of my fee-only financial planning practice. It’s the only way I will practice financial planning. 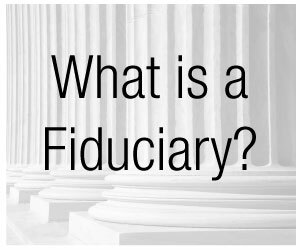 I suppose some of you may not be aware of the fiduciary standard and what it means. Well, this strange word, by definition, means “of confidence or trust”. But, in the financial planning industry it means much more. A financial advisor who is a fiduciary is one who is required to put the needs and interests of the client first. This means the advisor should always make the recommendation that is in the best interest of the client…regardless of how it impacts the advisor financially. While the fiduciary standard is what I would consider the gold standard, there is another standard of duty called the suitability standard. This standard only requires that the advisor make a recommendation that is “suitable” for the client. There are miles between these two standards, which creates problems for investors and consumers. The suitability standard is one that is fairly easy to prove and overcome. For example, it’s easy to state that a young couple with children have a need for life insurance. An insurance salesman can easily prove that a whole life policy would be in order because it has a life insurance component and will develop cash value. Selling this young couple a whole life policy would pass the suitability standard, but is it really in the best interest of the client? The insurance salesman walks away with a very nice commission, while the young couple gets saddled with a high monthly premium (part of which goes to the salesman) and, most likely, a poor product. The same scenario with an advisor held to the fiduciary standard will produce a different result. The advisor is required to put the interest of the client before his own, which means he must recommend a solution that is best suited for the client…regardless of how it impacts his back pocket. If a term life insurance policy is all that is needed, a fiduciary advisor must recommend that solution, but an advisor or salesman held only to the suitability standard can offer other recommendations…even if those recommendations may not be in the best interest of the client. Scary, but true! The suitability standard is widely seen on the sales side of the financial industry. Brokers selling products with high commissions, as well as, insurance salesmen are two that top the list. So for those of you looking for a financial advisor, it’s important to understand what standard your advisor holds himself to. As a fiduciary fee-only advisor, I can’t imagine why someone would chose to work with an advisor who would hold themselves to any other standard. It’s your choice, but I know what choice I would (and do) make!